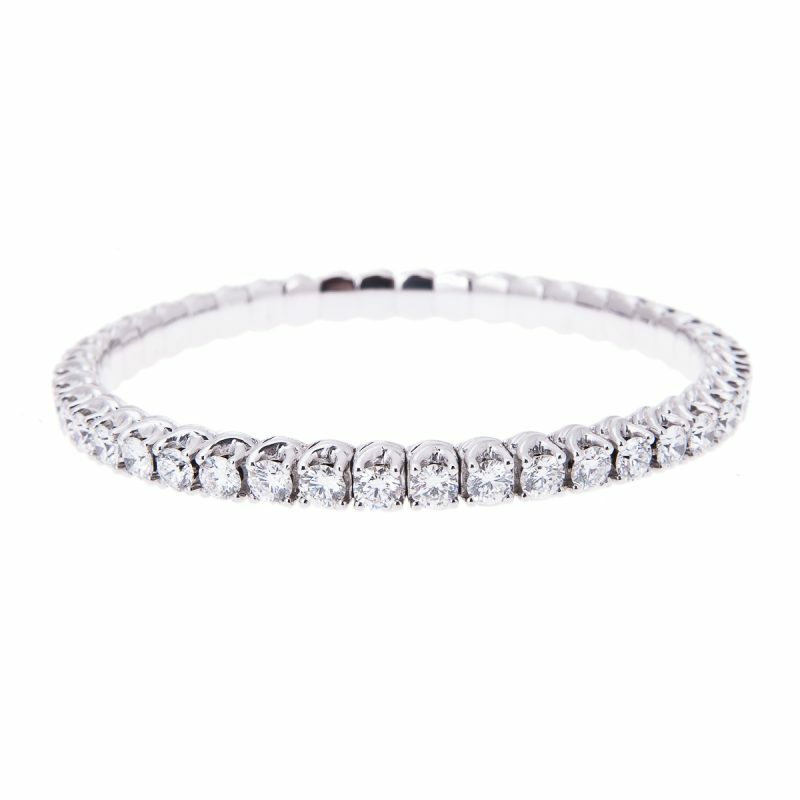 An articulated row of brilliant cut diamonds, mounted in an 18ct white gold claw setting, each securely held in an intricate heart shaped collet. 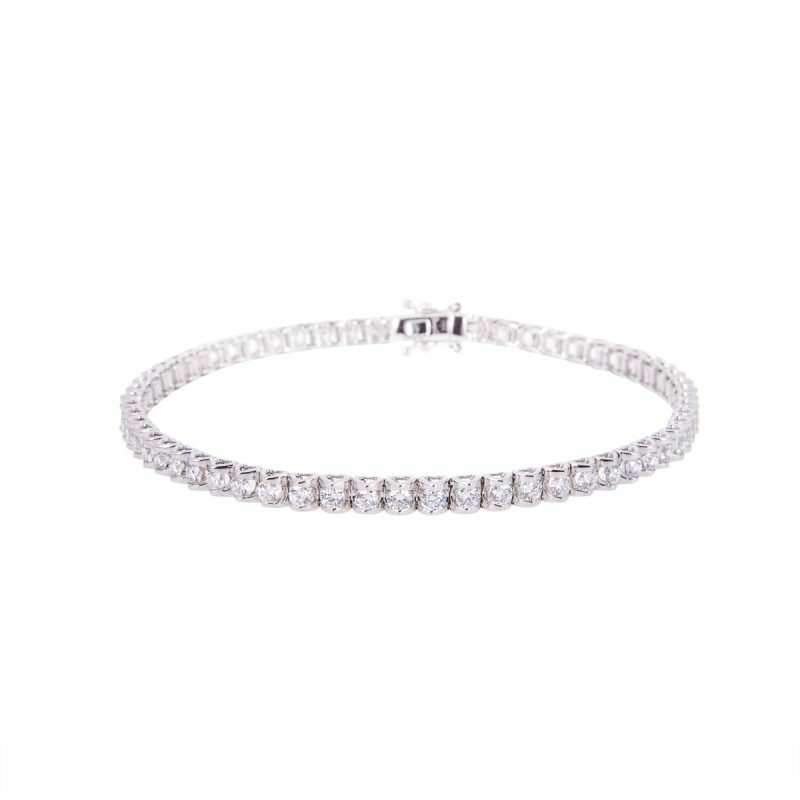 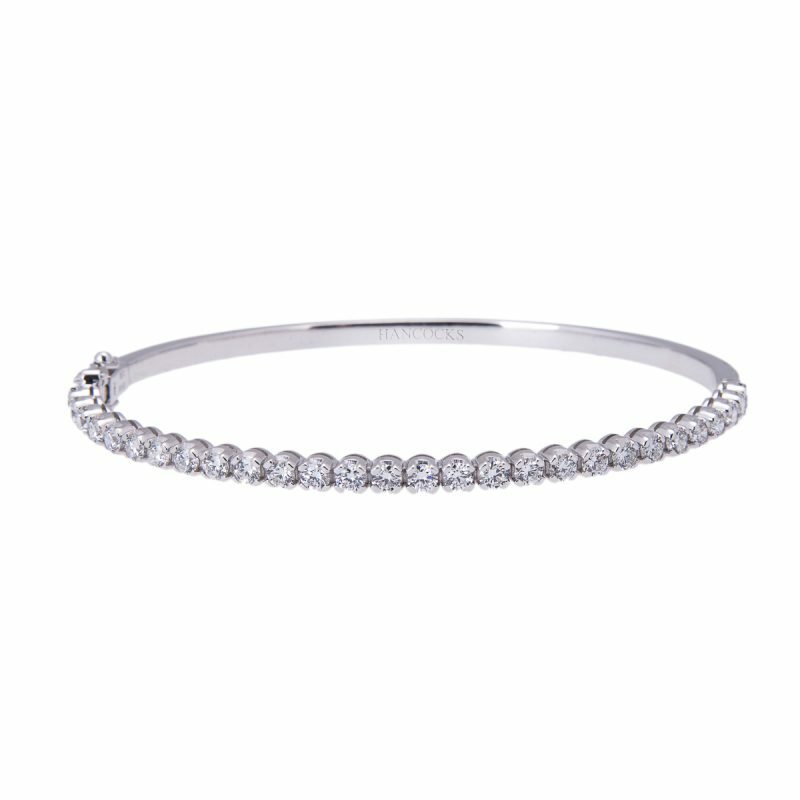 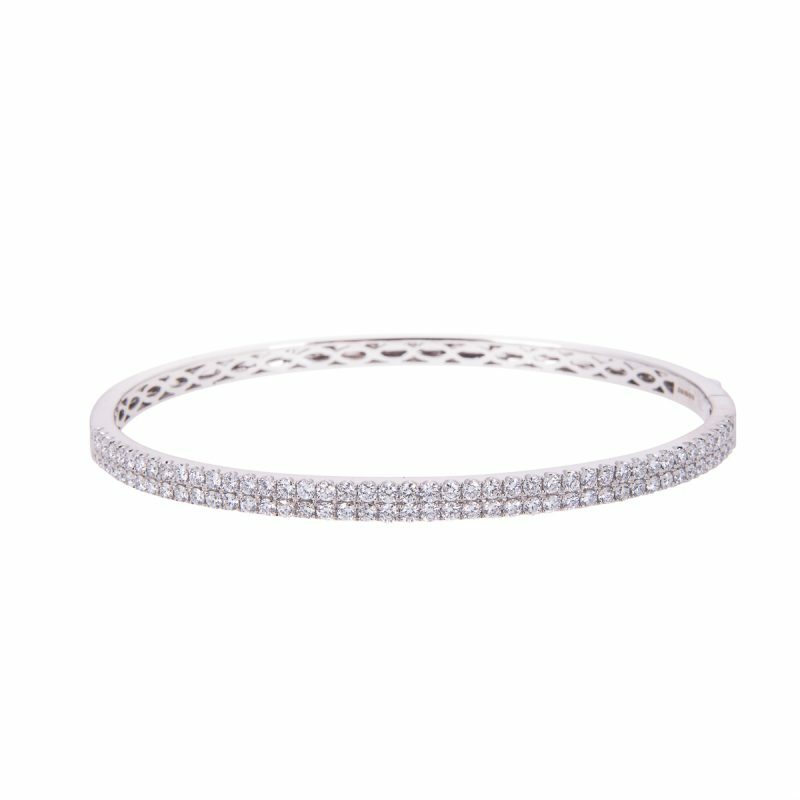 This exquisite bracelet is set with a single row of perfectly matched glittering white diamonds. 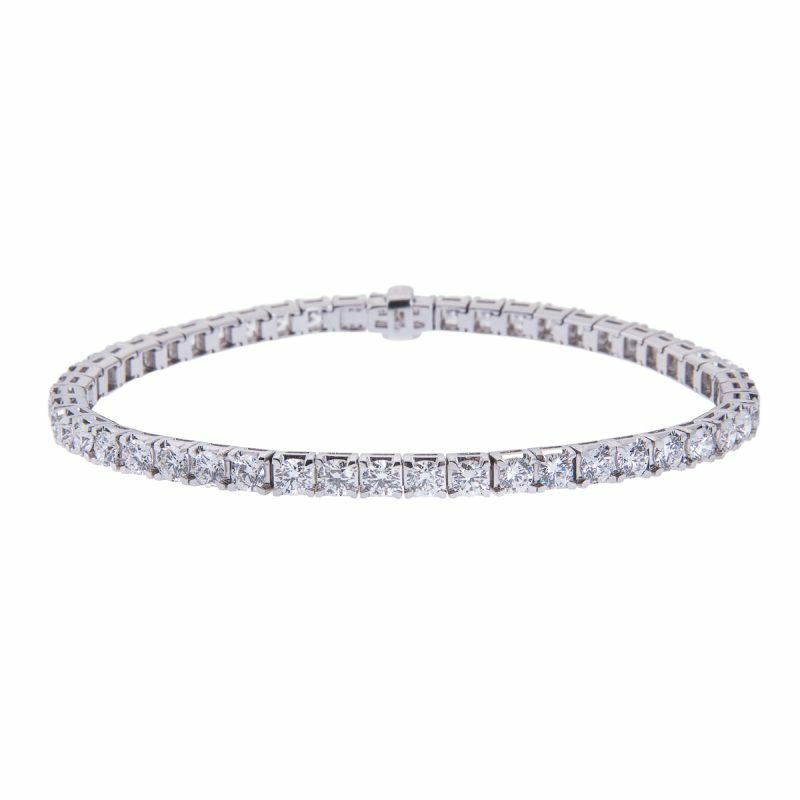 These rare and precious diamonds exhibit all the fire and sparkle you would expect from a fine diamond, making this a truly magnificent piece of jewellery.